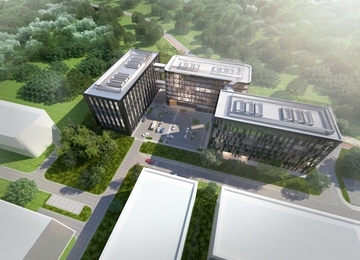 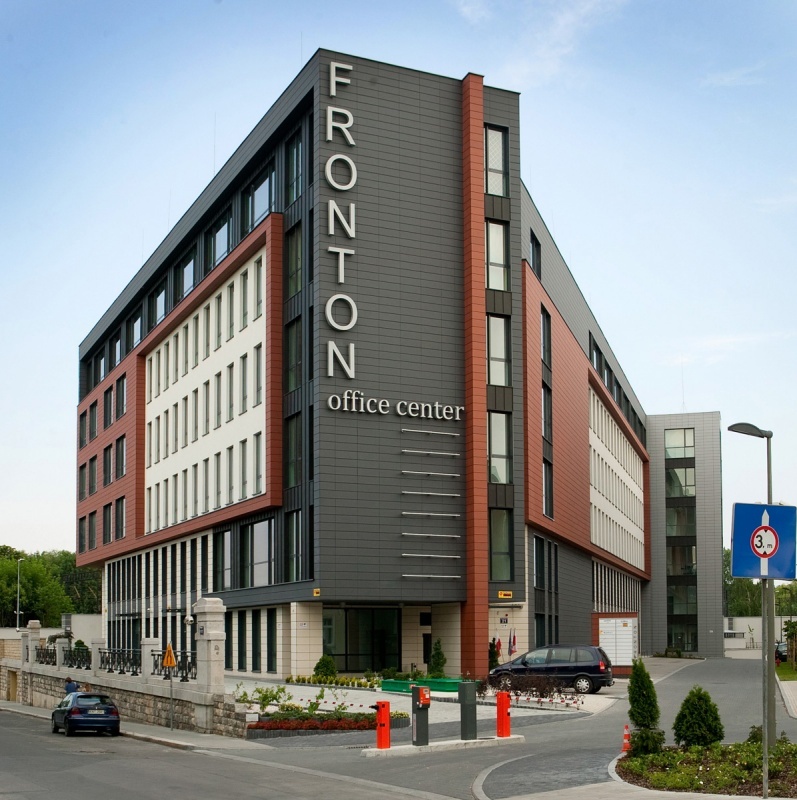 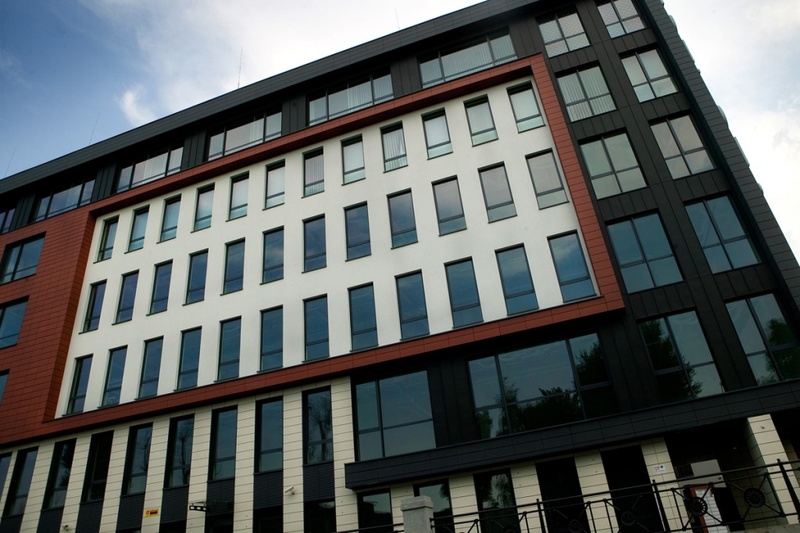 Fronton represents six storey individual and modern office building with conference, restaurant and gym facilities. 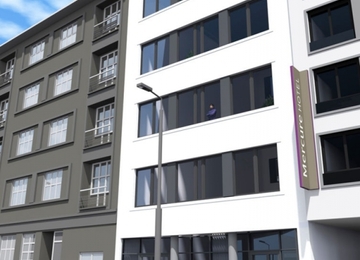 The building plan is based on triangle with open internal atrium, which provides excellent daylight access to all offices. 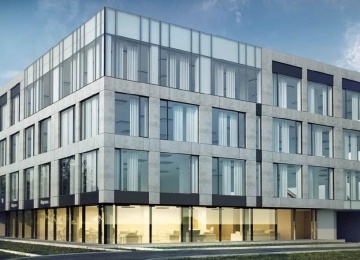 Typical floor of 1 000 sqare meters enables easy floor arrangement. 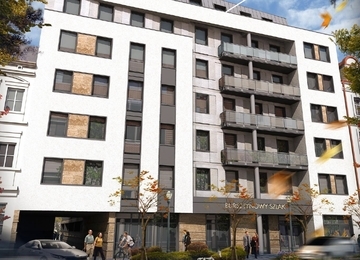 In addition there are surface and underground car parks available for tenants. 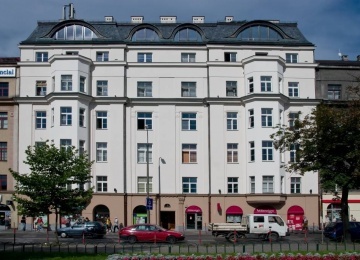 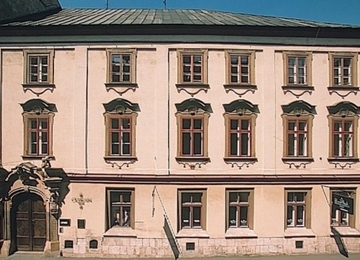 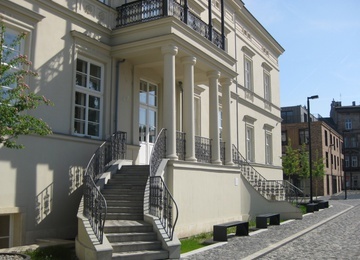 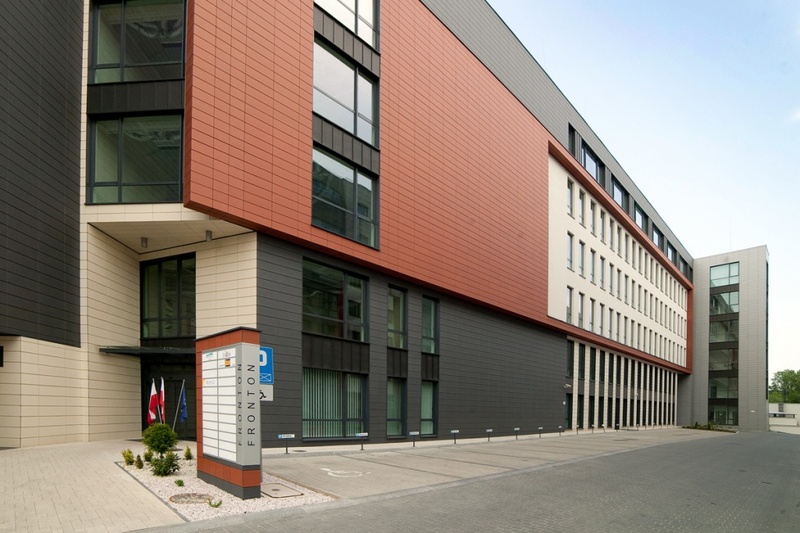 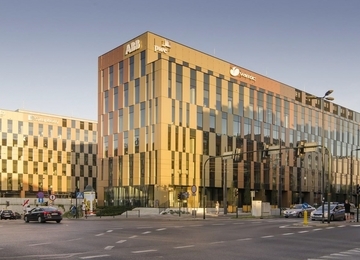 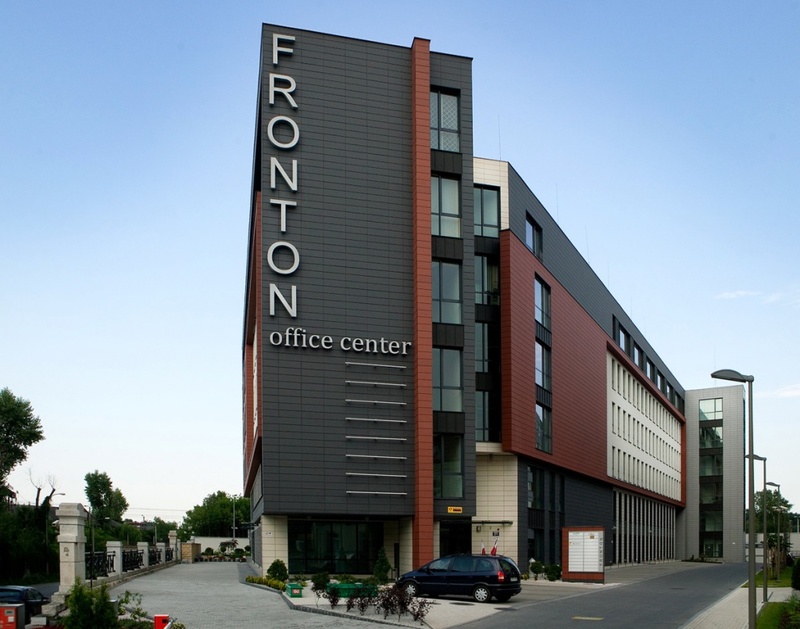 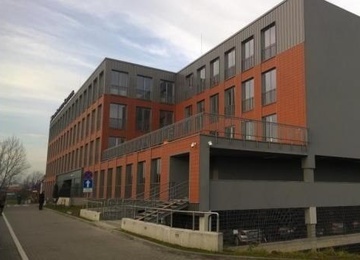 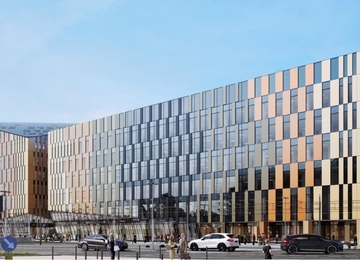 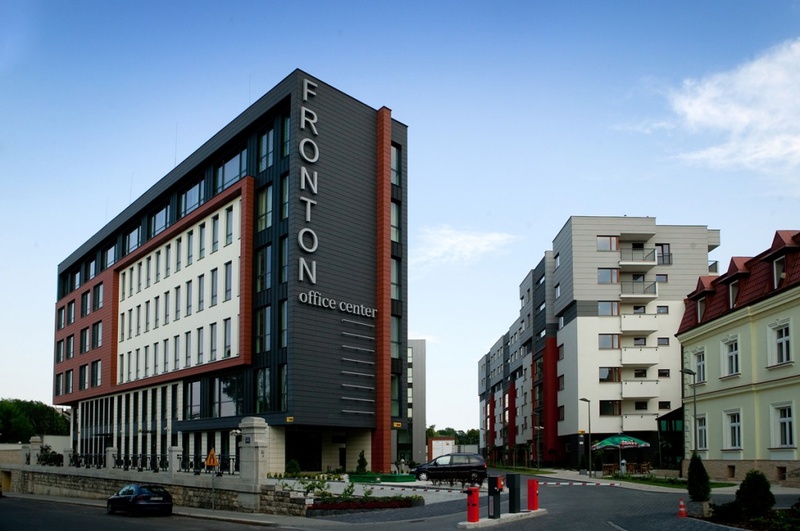 Fronton office building is located at the fringe of Kraków city centre, at Kamienna Street, between very important transportation routes – 29 Listopada Avenue and Prądnica Street. 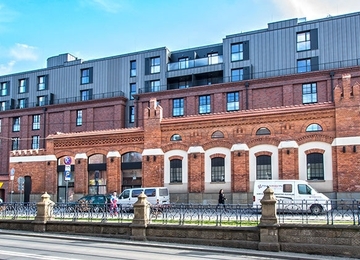 Building is well accessible by public transport as fast tram stop is situated in front of the building and there is only one stop to Krakowska shopping mall and main railway station. 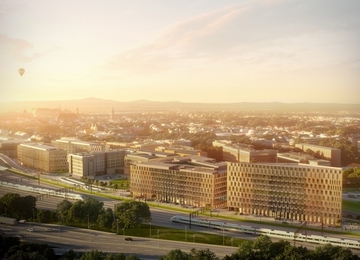 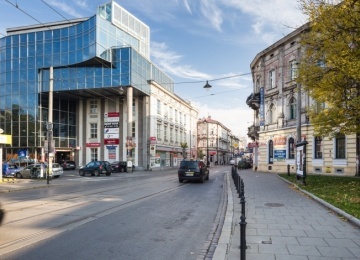 Main Square is achievable within walking distance through Długa Street.